To avoid one of many estate home clean out mistakes or when selling a house, you’ll probably have to do carpet removal. It’s not a particularly pleasant job and it takes time and effort. What’s more, you need to do it right or you’ll be faced with more work. While the process isn’t complicated or complex, there are things that need to be done right. So, you must avoid carpet removal mistakes so you don’t unwittingly create whole other mess to clean up. Whether you’re doing remodeling prep, rehabilitating a property, or just replacing carpet with another type of flooring, you should know what to expect. Carpet is the most porous type of flooring and because of its material composition, that means you’re probably in for one or more unpleasant surprises. A common phenomenon is the decomposition of the padding underneath. Although designed to provide many years of function, constant traffic takes a heavy toll. Not moving furniture out. Yes, people do try to remove carpet without all the heavy lifting. They believe the furniture can simply be moved around in a room while the carpet is taken up but it doesn’t work out. Not clearing an unobstructed path. When you remove carpet, you’ll have to roll it up and then carry it out of the room. That means having to navigate a hallway, corners and doorways. Because of the size, you’ll need an unobstructed path to avoid any tripping hazards. Not starting in the corners. The corners are tricky to reach but this is where you need to start removing the carpet. It’s purposely installed with the corners tucked tight so it doesn’t come out-of-place. But this often means having to remove the baseboards and then carefully grabbing the corners with needle nose pliers. Not removing the tacking. The carpet tacking is the wood installed directly on the subfloor with sharp teeth pointed up. These teeth are what holds the carpet in-place. But unless the tacking is in good condition, it’s got to go, particularly if you’re going to replace the carpet with a different kind of flooring. Not treating the bare subfloor. As mentioned above, pet accidents and occasional spills will soak into the subfloor, right through the carpet. Those unpleasant stains must be treated before new flooring can be installed. 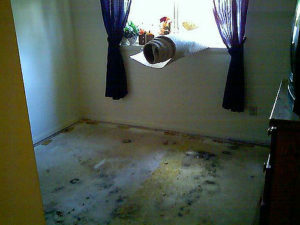 When it’s time for carpet removal, all you need to do is phone 800-433-1094 or visit Junk Garbage Removal. 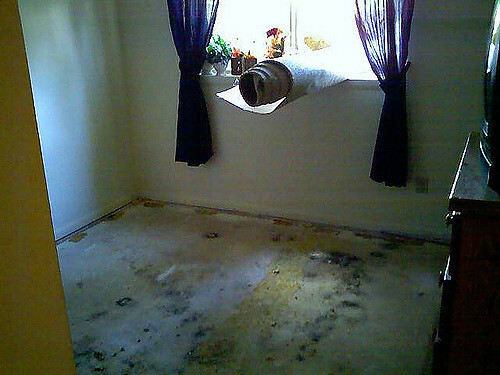 Our crew not only does carpet removal, but also offers a number of helpful services.